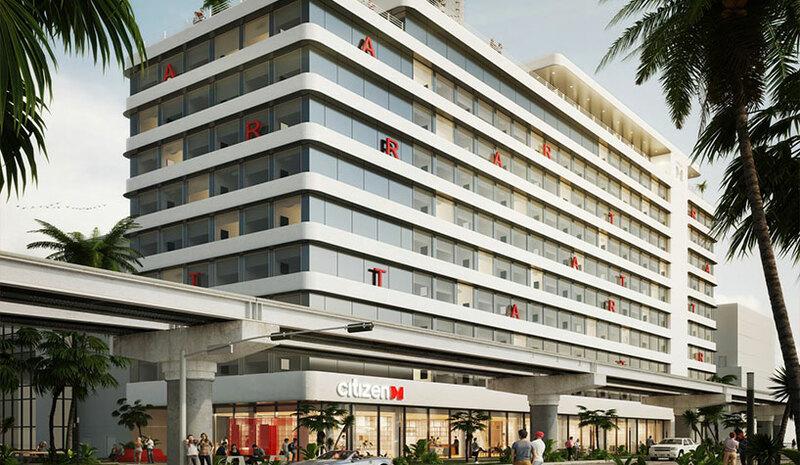 Miami Worldcenter, one of the largest private mixed-use developments underway in the U.S. occupying 27 acres in the heart of downtown Miami, completed the $10.75-million sale of land that will be the site of a new 12-story, 348-room CitizenM hotel. Slated to break ground this year, the hotel will comprise 128,000 sq. ft. along NE 2nd Ave. between 7th and 8th St., and will include a 10th floor sun deck featuring a swimming pool and rooftop bar, along with a fitness center and gym on the 11th floor. It will be located adjacent to Miami Worldcenter’s pedestrian-only, open-air shopping promenade, which will be lined with retail, restaurants and entertainment options. The hotel will also have 1,850 sq. ft. for SocietyM, the brand’s signature creative spaces and meeting rooms, and a cloudM rooftop bar offering views of Biscayne Bay and the downtown Miami skyline. Gensler Architects will be responsible for the hotel’s design. DSH Hotel Advisors closed the sale of Baymont Inn & Suites by Wyndham – Celebration, FL on Jan. 4. Managing Principal Dennis Hopper brokered the transaction between the buyer, 7601 Black Lake Rd. LLC and the seller, CC LLC, a Florida-based company. Hunter Hotel Advisors represented the seller in the sale of the Macon Marriott City Center in Macon, GA. A fund managed by Linchris Hotel Corporation of Massachusetts was the buyer. The 220-room full-service Marriott, built in 2009, is connected to the Edgar H. Wilson Convention Center, providing more than 50,000 sq. ft. of convention meeting space, including a 30,800-sq.-ft. exhibition hall and the Macon Coliseum, which accommodates more than 9,000 spectators. Adjacent to the hotel is the Coliseum Medical Centers.